21st Century VitaJoy Melatonin Gummies work in harmony with your natural sleep cycle to promote relaxation and sleep. 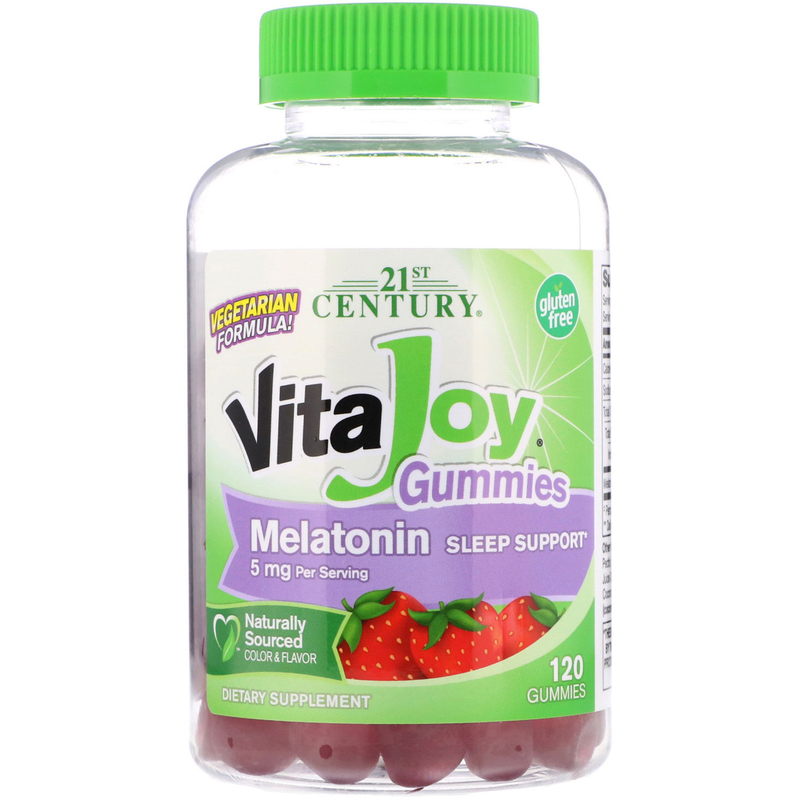 These gummies with naturally sourced strawberry flavor taste great too! As a dietary supplement, adults chew two (2) gummies 30 minutes before bedtime or as directed by a healthcare provider. Do not exceed recommended dosage. Individual results may vary. Glucose syrup, sugar, water, pectin, natural flavor, natural color (elderberry juice concentrate), citric acid, sodium citrate, coconut oil, carnauba wax. Caution: Do not take if you are operating machinery or a vehicle. Not intended for use by pregnant or nursing women or those under the age of 18.